¬ словаре имеютс¤ подобные анаграммы . состо¤щие из 5 слов , 4 слов и т.д. Ўелл - один из базовых инструментов в юниксе . СThe Unix Programming EnvironmentТ, by СKernighanΠkeТ. СDeep C SecretsТ (Peter van der Linden). СThe C Programming LanguageТ by Kernighan and Ritchie. The СccТ command is merely a compiler СdriverТ or Сfront endТ. which do the actual compilation process. The -E option makes СccТ call only СcppТ. The output of the preprocessing phase is displayed on the screen. The -S option makes СccТ invoke both СcppТ and Сcc1Т. What you get would be a file with extension С.sТ, an assembly language program. Will result in output getting stored in a file called СhelloТ instead of Сa.outТ. The -Wall option enables all warnings. check your code as thoroughly as possible. The -pedantic-errors options checks your code for strict ISO compatibility. of such extensions creeping into it. field initalization extension here, which gcc allows, unless -pedantic-errors is provided. is not really a bad idea. Read the gcc man page and find out what all optimizations are enabled by each option. you are adding the directory /usr/proj/include to the standard preprocessor search path. The -D option is useful for de.ning symbols on the command line. Try compiling the above program with the option -DDEBUG and without the option. of preprocessor tricks -so donТt skip the part on the preprocessor in K&R. besides the standard directories like /lib and /usr/lib. The СkernelТ is the heart of the Operating System. you will find a file whose name might look somewhat like СvmlinuzТ. which gets loaded into memory when you boot your machine. overseeing each and every activity going on in the system. it has to interact with the TCP/IP code present within the kernel. This interaction takes place through special C functions which are called СSystem CallsТ. Understanding a few elementary system calls is the first step towards understanding Linux. The Linux operating system, just like all Unices, takes the concept of a file to dizzying heights. that can be read from or written to. Files are manipulated using three fundamental system calls -open, read and write. A system call is a C function which transfers control to a point within the operating system kernel. This needs to be elaborated a little bit. The Linux source tree is rooted at /usr/src/linux (кстати,не факт). Now, this function is compiled into the kernel and is as such resident in memory. to this function within the operating system kernel. in practice and researchers can make their own enhancements. Here is a small program which behaves like the copy command. which is to be passed as argument to all other file manipulation functions. that we wish to truncate the file (to zero length) if it exists. (octal 644 -user read/write, group and others read) as the last argument. the return value is 0 if EOF is reached, it is -1 in case of errors. of bytes which we have asked to write. Note that there are subtleties with write. that the data has been actually transferred to the disk. The fork system call creates an exact replica(in memory) of the process which executes the call. You will see that the program prints hello twice. Why? which called the СforkТ (the parent process) and the clone which fork has created (the child process). Lines after the fork will be executed by both the parent and the child. Fork is a peculiar function, it seems to return twice. This is quite an amazing program to anybody who is not familiar with the working of fork. Both the СifТ part as well as the СelseТ part seems to be getting executed. The idea is that both parts are being executed by two different processes. Fork returns 0 in the child process and process id of the child in the parent process. and child takes the if branch. It is important to understand how a fork affects open files. Let us play with some simple programs. After running the program, we note that the file СdatТ contains the string СworldТ. the value returned by open is simply an index to this table. information using which it would be possible to locate the data blocks of the file on the disk. but both the file table entries point to the same v-node structure. The consequence is that writes to both descriptors results in data getting written to the same file. of the file descriptor table getting changed to five (length of the string СhelloТ). is pointing to a different kernel file table entry. What happens to open file descriptors after a fork? Let us look at another program. We note that СopenТ is being called only once. to write СworldТ. We examine the contents of the file after the program exits. We find that the file contains СhelloworldТ. in the process file descriptor table and returns the index. The СforkТ results in the child process inheriting the parentТs file descriptor table. to the same file table entry -which means the offsets are shared by both the process. This explains the behaviour of the program. The program executes the СlsТ command -but we see no trace of a СHelloТ anywhere on the screen. The СexecТ family of functions perform Сprogram loadingТ. with the memory image of СlsТ -ie, exec has no place to return to if it succeeds! The first argument to execlp is the name of the command to execute. (ie, they will be available as argv, argv etc in the execed program). The list should be terminated by a null pointer. What happens to an open file descriptor after an exec? That is what the following program tries to find out. We first create a program called Сt.cТ and compile it into a .le called СtТ. which will fork and exec this program. What would be the contents of file СdatТ after this program is executed? is not closed during the exec. on descriptors 0, 1 and 2.
invoke СwriteТ and СreadТ with descriptor values 2 and 0. This behaviour is vital for the proper working of standard I/O redirection. unused descriptor in the per process file descriptor table. Note that after the dup, file descriptor 1 refers to whatever СfdТ is referring to. with the result that the message gets СredirectedТ to the file СdatТ and does not appear on the screen. The /proc directory of your Linux system is very interesting. The files (and directories) present under /proc are not really disk files. You can try Сman procТ and learn more about the process information pseudo file system. This will be our first kernel hack -mostly because it is extremely simple to implement. and one or two things about the very nature of the Linux kernel itself. Note that we are dealing with Linux kernel version 2.4.
can lead to system hangs and data corruption and should not be attempted on production systems. 4.1. What happens during a system call? implement various levels of СprotectionТ in hardware. it runs at a very high privilege level. execute СprivilegedТ CPU instructions etc. and are not really capable of doing any Сlow-levelТ stuff other than reading and writing I/O ports. (say read from disk, keyboard etc). System calls form well defined Сentry pointsТ through which user programs can get into the kernel. which takes care of switching from low privileged user mode to high privileged kernel mode. LetТs go to the /usr/src/linux/fs subdirectory and create a file called Сmycall.cТ. The Linux kernel convention is that system calls be prefixed with a sys_. in /usr/src/linux/include/linux/linkage.h and seems to be essential for defining system calls. it has its own implementation of most simple C library functions). so you have to make some alterations to the СMakefileТ. Note the line containing Сmycall.oТ. Once this change is made, we have to examine the file /usr/src/linux/arch/i386/kernel/entry.S. we add our own syscall at the end. to /usr/src/linux/include/asm/unistd.h. We are now ready to go. We have made all necessary modifications to our kernel. A new kernel called СbzImageТ will be available under /usr/src/linux/arch/i386/boot. configuration file (if you are using lilo, then /etc/lilo.conf) and run some command like СliloТ. The default kernel is /boot/vmlinuz-2.4.18-3. The modified kernel is called /boot/nov22-ker. Note that you have to type СliloТ after modifying /etc/lilo.conf. If you are using something like СGrubТ, consult the man pages and make the necessary modi.cations. you can then use the СdmesgТ command. We will explore printk and message logging in detail later). You should try one experiment if you donТt mind your machine hanging. Place an infinite loop in the body of sys_zap -a Сwhile(1);Т would do. What happens when you invoke sys_zap? Is the Linux kernel capable of preempting itself? The next few chapters will cover the basics of writing kernel modules. 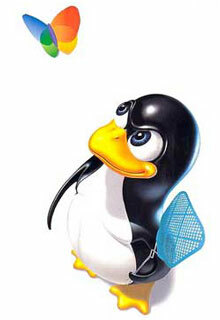 Our discussion will be centred around the Linux kernel version 2.4. SMP issues and error handling. by Alessandro Rubini and Jonathan Corbet. 5.1. What is a kernel module? perhaps to support a particular piece of hardware or to implement new functionality. it also helps to make the kernel lean and mean. once that is over, you can remove the module from kernel space, freeing up memory. and your module gets loaded into kernel address space. you can use it for performing whatever initializations you want. That is, when you attempt to remove the module from kernel space. and is capa-ble of manipulating data structures defined in the kernel. Here is a simple program which demonstrates the idea. The init_module function is called by the СinsmodТ command after the module is loaded into the kernel. as the process id of the Сcurrently executingТ process (which, in this case, is СinsmodТ itself). which you are including in your program and look for СcreativeТ uses of preprocessor macros. Here is /usr/src/linux/include/asm/current.h for your reading pleasure! of an object of type Сtask structТ and returns it to the caller. The global variables defined in your module are accessible from other parts of the kernel. you should find Сfoo_bazТ in the list. we wont be able to see foo_baz in the kernel symbol listing. and variables defined in another module. LetТs check whether this works. We compile and load another module, in which we try to print the value of the variable foo_baz. The module gets loaded and the init_module function prints 101. It would be interesting to try and delete the module in which foo_baz was defined. it simplifies the job of the system administrator. (note that your kernel version number may be different). After loading the program as a module, what if you try to СrmmodТ it? We get an error mes-sage. The output of СlsmodТ shows the used count to be 1. A module should not be acciden-tally removed when it is being used by a process. but it will be sometimes necessary to adjust the count manually. The initialization and cleanup functions need not be called init_module() and cleanup_module(). perform the СmagicТ required to make foo_init and foo_exit act as the initialization and cleanup functions. there is no way that you can reserve a range of I/O ports for a particular module in hardware. in the range 0x2f8 to 0x2ff, hard disk driver is using 0x376 and 0x3f6 etc. by any other module, and if not reserves that range for itself. You should examine /proc/ioports once again after loading this module. It may sometimes be necessary to set the value of certain variables within the module at load time. Take the case of an old ISA network card -the module has to be told the I/O base of the network card. Here is an example module where we pass the value of the variable foo_dat at module load time. * misspelled, we get an error message. at module load time, on the command line. l for long and s for string. Device drivers are classified into character, block and network drivers. we shall start with that. Note that we will not attempt any kind of actual hardware interfacing at this stage -we will do it later. between parent and child processes. You note that the permissions field begins with, in most cases, the character СcТ. We have a СdТ against one name and a СbТ against another. and one which starts with СbТ is a block special file. These files dont have sizes, instead they have what are called major and minor numbers. they are mostly abstractions of peripheral devices. Had lp0 been an ordinar file, the string СhelloТ would have appeared within it. СhelloТ gets printed on the paper. Thus, lp0 is acting as some kind of Сaccess pointТ through which you can talk to your printer. is perhaps one of the most significant (and powerful) ideas popularized by Unix. How is it that a СwriteТ to /dev/lp0 results in characters getting printed on paper? LetТs think of it this way. writing data to it, reading back error messages etc. What happens when you attempt to write to this file? containing pointers to driver routines) from where it gets the address of a structure. thereby invoking Сprinter_writeТ. ThatТs all there is to it, conceptually. the СopenТ system call also behaves in a similar manner -ultimately executing Сprinter_openТ. Note that we are using the GCC structure initialization extension to the C language. the slot index will be returned by register_chrdev. During cleanup, we СunregisterТ our driver. We compile this program into a file called Сa.oТ and load it. Note that our driver has been registered with the name СfooТ, major number is 254.
what matters is the major number). LetТs now write a small program to test our dummy driver. looks up the table in which we have registered our driver routines(using the major number as an index). It gets the address of a structure and sees that the СopenТ field of the structure is NULL. so it simply returns to the caller. which holds pointers to driver routines. the logic being that a driver which does not define a СwriteТ canТt be written to. (there is a little bit of СmagicТ here which we intentionally leave out from our discussion). Similar is the case with read. We will now change our module a little bit. We are now filling up the structure with address of three functions, foo_open, foo_read and foo_write. foo_open after several layers of indirection, it always passes two arguments, both of which are pointers. Our foo_open should be prepared to access these arguments. The first argument is a pointer to an object of type Сstruct inodeТ. (in case of special .les). An object of type Сstruct inodeТ mirrors this information in kernel memory space. what the major and minor numbers of the file on which the СopenТ system call is acting. The next argument is of type Сpointer to struct fileТ. which store information like current file offset etc. The second argument to open is the address of this structure. of the driver routines(the .eld is called f_op), including foo_open! Does this make you crazy? of the code is in the way the data structures are organized. The code which acts on these data structures would be fairly straightforward. the algorithms should be made as simple as possible. It is comparitively easier for us to decode complex data structures than complex algorithms. (read graph theoretic) foundations and they are inherently complex. Operating systems are fortunately not riddled with such algorithmic complexitites. What about the arguments to foo_read and foo_write. of the f_pos field in the structure pointed to by СfilepТ (Wonder why we need this field? Why dont we straightaway access filp->f_pos?). Here is what gets printed on the screen when we run the test program (which calls open, read and write). Again, note that we are not printing the kernelТs response. The response from the kernel is interesting. We note that the address of foo_open does not change. every time we are running our test program, we are calling the same foo_open. But note that the С&.lp->f_posТ and СoffpТ values, though they are equal, may keep on changing. This is because every time we are calling СopenТ, the kernel creates a new object of type Сstruct .leТ. The driver open method should be composed of initializations. It is also preferable that the СopenТ method increments the usage count. in the body of СreleaseТ. We see that as long as the program is running, the use count of the module would be 1 and rmmod would fail. Once the program terminates, the use count becomes zero. to the Сstruct fileТ type object which has been allocated by open) does the release method get invoked. Say we are defining the read method of a scanner device. and store it in an array. We now have to copy this array to user address space. It is not possible to do this using standard functions like СmemcpyТ due to various reasons. These functions return 0 on success (ie, all bytes have been transferred, 0 more bytes to transfer). and we shall not pay attention to details of concurrency. how an application program uses the read syscall. Read is invoked with a file descriptor, a buffer and a count. trying to read N bytes at a time. till read returns 0. This way, it will be able to read the file in full. to read from the file in several different block sizes. you should be able to see only СabcТ. try redirecting the output of Unix commands. See whether you get the Сno spaceТ error (try ls -l .foo). Write C programs and verify the behaviour of the module. A process opens the device .le, СfooТ, performs a read, and magically, it gets its own process id. We discuss some more advanced character driver operations in this chapter. especially when you are controlling a real physical device, say a serial port. Lets say that you wish to set the baud rate (data transfer rate) of the device to 9600 bits per second. One way to do this is to embed control sequences in the input stream of the device. of the device should now never contain a string of the form Сset baud: 9600Т during normal operations. Imposing special СmeaningТ to symbols on the input stream is most often an ugly solution. A better way is to use the СioctlТ system call. Here is a simple module which demonstrates the idea. Lets .rst de.ne a header .le which will be included both by the module and by the application program. We note that the driver ioctl function has a final argument called СargТ. but only that type checking is disabled on the last argument. to receive back data (get the current data transfer rate). you can pass the last argument as an integer. If you wish to get back some data, you may think of passing a pointer to integer. proper type casts should be done in the driver code. When writing production code, it is necessary to use certain macros to generate the ioctl command numbers. The reader should refer LinuxDeviceDriversby Rubini for more infor-mation. A user process which attempts to read from a device should СblockТ till data becomes ready. A blocked process is said to be in a СsleepingТ state -it does not consume CPU cycles. (this can be observed by running Сps axТ on another console). if the terminal is in raw mode), wakes up all processes which were deep in sleep waiting for input. Let us see some of the functions used to implement sleep/wakeup mechanisms in Linux. A fundamental datastructure on which all these functions operate on is a wait queue. We have to do some kind of initialization before we use foo_queue. LetТs look at an example module. What happens to a process which tries to open the file СfooТ in read only mode? (donТt try to use СcatТ -seems that cat opens the file in O_RDONLY|O_LARGEFILE mode). using interruptible_sleep_on whereas wake_up shall wake up all processes). You note that the first program goes to sleep, but you are not able to СinterruptТ it by typing Ctrl-C.
come out of its sleep. Signals are not delivered to processes which are not in interruptible sleep. This is somewhat dangerous, as there is a possibility of creating unkillable processes. Driver writers most often use СinterruptibleТ sleeps. This function is interesting. LetТs see what it does through an example. is a C boolean expression. If the expression is true, nothing happens -control comes to the next line. otherwise, the process is again put to sleep. This continues till the expression becomes true. We write two application programs, one which simply opens СfooТ and calls СreadТ. The other program reads a string from the keyboard and calls СwriteТ with that string as argument. Load the module and experiment with the programs. ItТs real fun! our experience in this area is very limited. Here is a small Сpipe likeТ application which is sure to be full of race conditions. the write should block (until the whole buffer becomes free). the read should block till some data is available. Drivers need to be aware of the flow of time. This chapter looks at the kernel mechanisms available for timekeeping. The first line shows that the СtimerТ has generated 314000 interrupts from system boot up. The СuptimeТ command shows us that the system has been alive for around 52 minutes. Which means the timer has interrupted at a rate of almost 100 per second. A constant called СHZТ defined in /usr/src/linux/include/asm/params.h defines this rate. function from your module -which behaves like the СgettimeofdayТ syscall. Trying grepping the kernel source for a variable called СjiffiesТ. Why is it declared СvolatileТ? LetТs move off track a little bit -we shall try to understand the meaning of the keyword СvolatileТ. We define a variable called СjiffiesТ and increment it in the handler of the Сinterrupt signalТ. So, every time you press Ctrl-C, the handler function gets called and jiffies is incremented. Ultimately, jiffies becomes equal to 3 and the loop terminates. This is the behaviour which we observe when we compile and run the program without optimization. we are enabling optimization. If we run the program, we observe that the while loop does not terminate. The volatile keyword instructs the compiler to leave alone jif.es during optimization. When you run the program, you will see a sequence of СAТs getting printed at about 2 second intervals. which simply executes a tight in.nite loop in user mode. how do you interpret the three times shown by the command? an explicit wakeup function on foo_queue or when the speci.ed timeout is over. These are busy waiting functions which can be called to implement delays lesser than one timer tick. Eventhough udelay can be used to generate delays upto 1 second, the recom-mended maximum is 1 milli second. It is possible to СregisterТ a function so that it is called after a certain time interval. This is made possible through a mechanism called Сkernel timersТ. The idea is simple. The variable is initialized by calling timer_init(). The expires, data and timeout function fields are set. The timer_list object is then added to a global list of timers. to the expiry time speci.ed in any of the timer objects, the corresponding timeout function is invoked. Here is an example program. As usual, you have to test the working of the module by writing a simple application program. restrictions on its behaviour (shouldnТt sleep, shouldnТt access any user space memory etc). but letТs take this opportunity to learn a bit of GCC Inline Assembly Language. It may sometimes be convenient (and necessary) to mix assembly code with C.
but we are talking of C code woven around assembly. An example would make the idea clear. for gathering information regarding the processor, like, say the vendor id (GenuineIntel or AuthenticAMD). the CPUID instruction and transfer the values which it stores in registers to C variables. in EBX, EDX and ECX registers. These registers will contain the ASCII string СGenuineIntelТ. Except the first (ie, instructions), everything is optional. The real power of inline assembly lies in its ability to operate directly on C variables and expressions. Lets take each line and understand what it does. which means copy the immediate value 0 into register eax. The $ and % are merely part of the syntax. (again, there is a reason for this, which we conveniently ignore). The output operands specify a mapping between C variables (l-values) and CPU registers. "=b"(p) means the C variable СpТ is bound to the ebx register. "=d"(r) means that the variable СrТ is bound to register edx. the clobberlist thus acts as a warning to the compiler. would contain the ASCII values of each character of the string AuthenticAMD (our system is an AMD Athlon). into a proper null terminated char array. The Intel Time Stamp Counter gets incremented every CPU clock cycle. in eax (low) and edx (high). You can look into /usr/src/linux/include/asm/msr.hto learn about the macros which manipu-late MSRТs. We examine how to use the PC parallel port to interface to real world devices. The basics of interrupt handling too will be introduced. The PC printer port is usually located at I/O Port address 0x378. Using instructions like outband inbit is possible to write/read data to/from the port. Before we call outb/inbon a port, we must set some kind of privilegelevelby calling the ioplinstruction. Only the superuser can execute iopl,so this program can be executed only by root. and pin 25 (ground) through a 1KOhm current limiting resistor. D0th bit controls pin 2, D1th bit pin 3 and so on). Note that it may sometimes be necessary to compile the program with the -O flag to gcc. All the characters (ie, ASCII values) will be written to the port, one after the other. If we read back, we should be able to see the effect of the last write, ie, the character СdТ. a 1 to bit 4 of the parallel port control register (which is at BASE+2). Our СhardwareТ will consist of a piece of wire between pin 2 (output pin) and pin 10 (interrupt input). It is easy for us to trigger a hardware interrupt by making pin 2 go from low to high. of a handler function, third is a .ag (SA_INTERRUPT stands for fastinterrupt. We shall not go into the details), third argument is a name and fourth argument, 0.
its first argument would be the IRQ number of the interrupt which caused the handler to be called. the device file open closes it. It is instructive to examine /proc/interrupts while the module is loaded. You have to write a small application program to trigger the interrupt (make pin 2 low, then high). it runs with interrupts enabled. but the preferred mechanism is a tasklet. The DECLARE_TASKLET macro takes a tasklet name, a tasklet function and a data value as argument. The tasklet_schedulefunction schedules the tasklet for future execution. How does the PC "remember" the date and time even when you power it off? which device to boot from). an address port (0x70) and a data port (0x71). and read a byte from the data port. The 0th byte stores the seconds part of system time in BCD format. Here is an example program which does this. The RTC is capable of generating periodic interrupts at rates from 2Hz to 8192Hz. This is done by setting the PI bit of the RTC Status Register B (which is at address 0xb). the formula f=65536/2^rate. RTC interrupts are reported via IRQ 8. Here is a program which puts the RTC in periodic interrupt generation mode. a new kernel without the RTC driver -otherwise, the above program may fail to acquire the interrupt line. The RTC helps us play with interrupts without using any external circuits. and woken up later (when data arrives). can be given the job of waking up processes which were put to sleep in the read method. We try to simulate this situation using the RTC. Here is a user space program which tests the working of this driver. The RTC can be instructed to generate an interrupt after a speci.ed period. each instant the time gets updated. If they match, an interrupt is raised on IRQ 8.